The theme of our last two weeks at work – Mature wind blown part-failed Ash with significant root plate decay(Honey Fungus) ‘hung up’ on adjacent Sycamores overhanging Redcourt Care Home, L18. 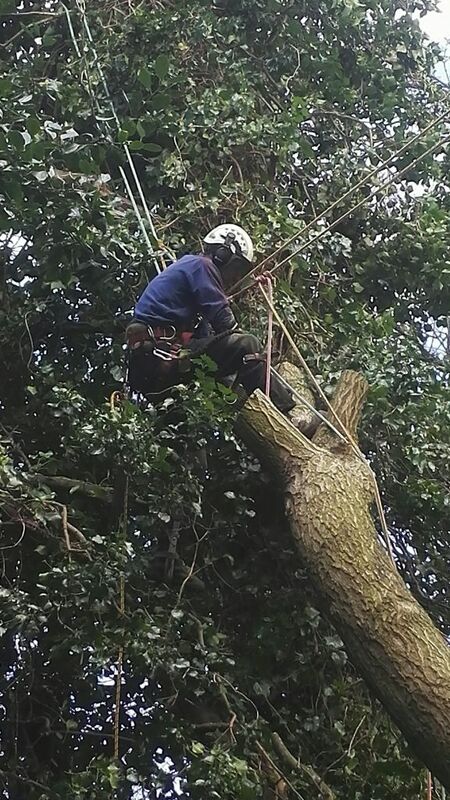 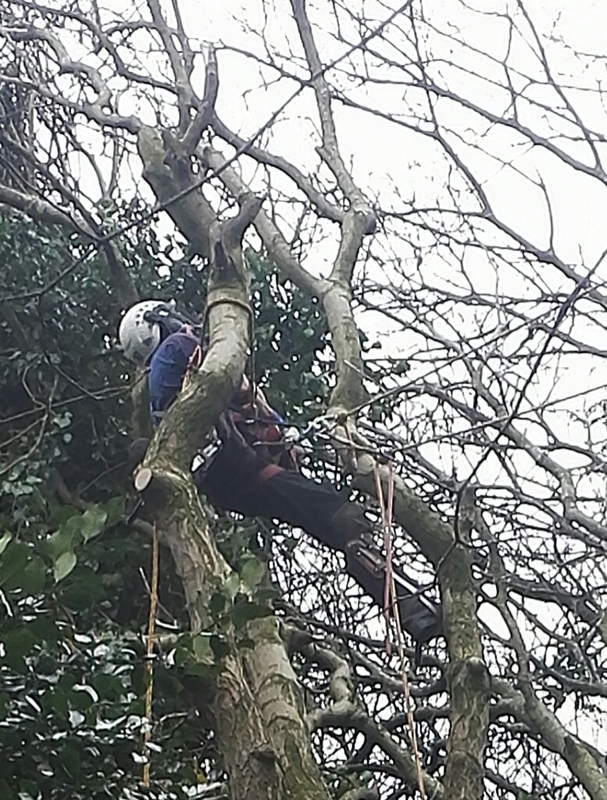 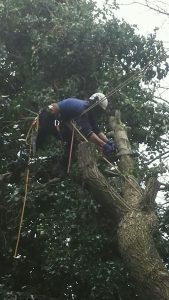 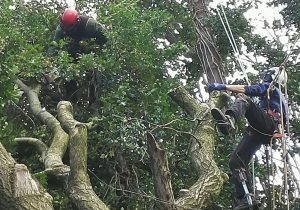 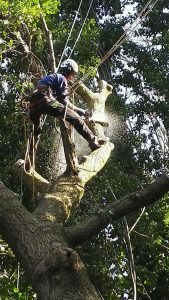 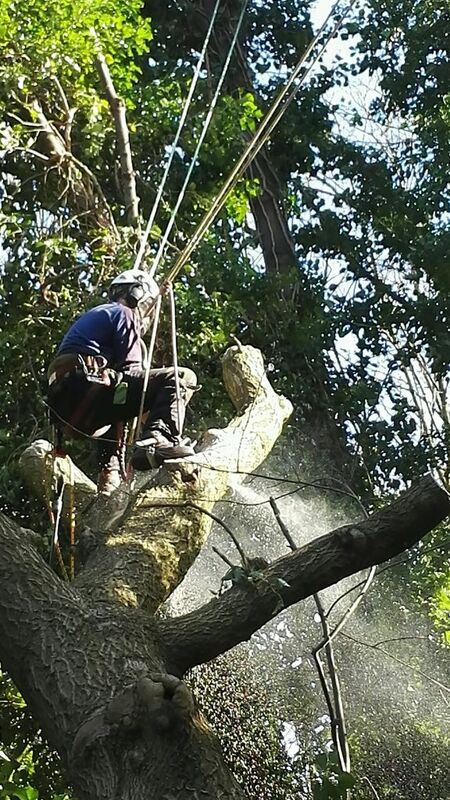 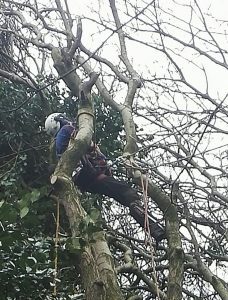 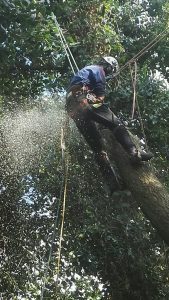 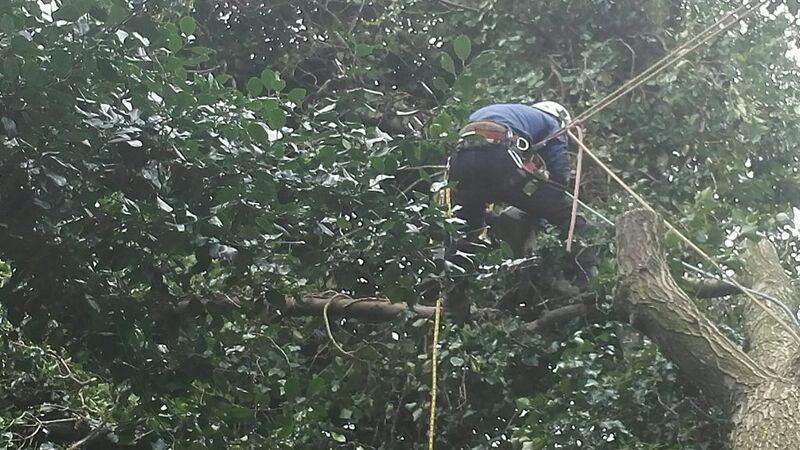 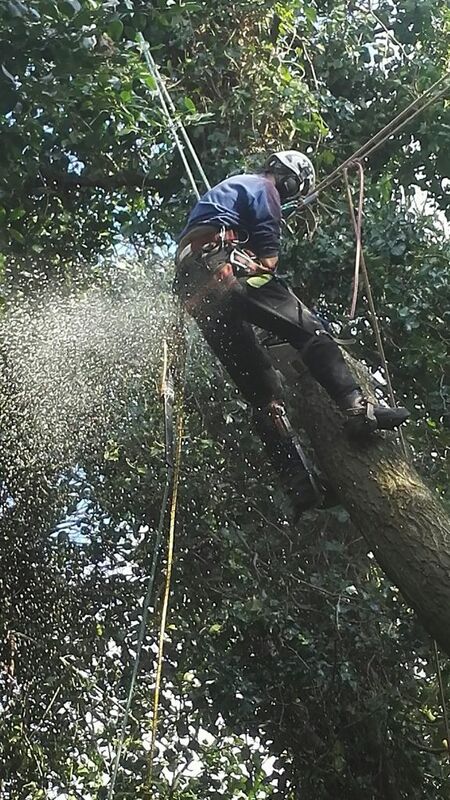 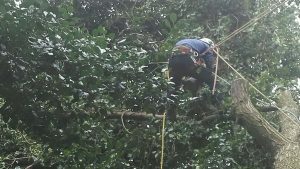 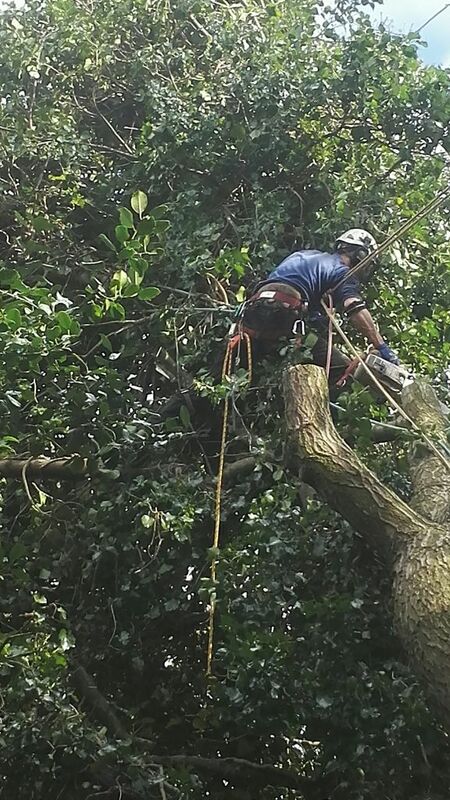 Multiple high climbing line anchor points used in adjacent trees to safely assist the climber(s) & some difficult technical Section Dismantle work. Log sections retained on-site to create ‘Habitat Piles’. 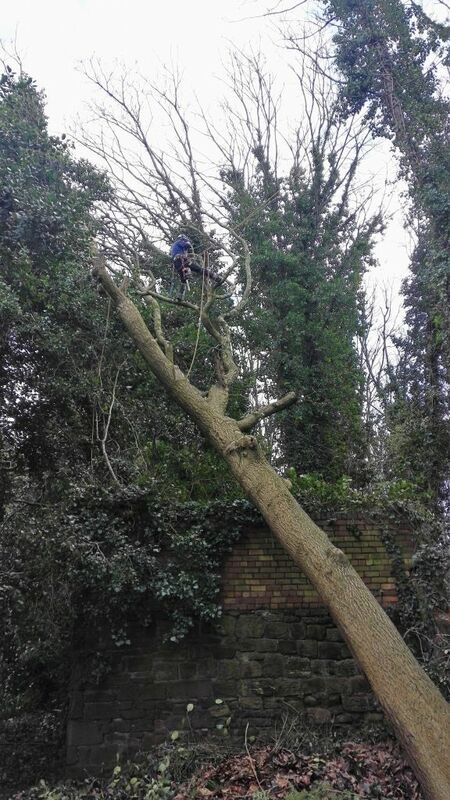 No damage to adjacent property or the high boundary wall only 1.5m below the failed main stem. Good day at the office ! 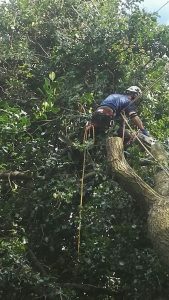 References from Customers – Sep / Oct 2016 Another example of some of our most recent satisfied clients’ references – sourced from our Google+, facebook & Blog pages.